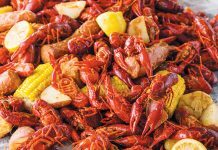 In southwest Louisiana, countless spring evenings are filled with thick, humid air and the hefty aroma of backyard crawfish boils. 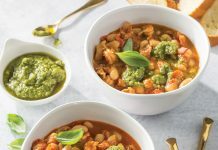 Everyone gathers around picnic tables shrouded in newspapers, and nearby, a colossal pot slowly churns away with spices that permeate the air and clear the sinuses. In a large pot or Dutch oven, melt butter over medium heat. Add onion, and cook about 7 minutes or until translucent. Stir in celery, bell peppers, garlic, parsley, and green onion; cook about 10 minutes or until vegetables are softened. Stir in flour until well incorporated; cook 5 minutes or until a nutty fragrance develops. Lower heat to medium-low, and slowly stir in half-and-half. Bring to a boil, then reduce heat to a simmer. Cook about 4 minutes or until slightly thickened. Slowly stir in American cheese, about ¼ cup at a time, letting each addition melt before the next; stir in Monterey Jack cheese in the same manner until incorporated. Stir in salt and black and cayenne peppers. Add crawfish, and cook 5 minutes or until heated through. 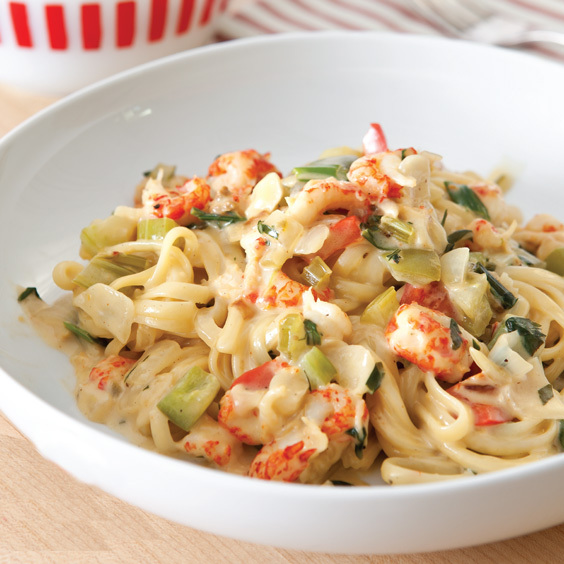 Combine fettuccine with crawfish sauce, and top with Parmesan. Serve immediately. I love this magazine. 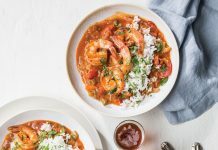 It is a great one for Cajun recipes that give you detailed directions. So many places in Louisiana to visit and pass a good time! Y’all come! I always wished a magazine would come out and it sure has with Louisiana Cookin. In my opinion this is the best one that showcases great food and places to go. Love this magazine! The recipes are amazing! I made this recipe today and it was delicious. Only change was using Asiago Cheese instead of American Cheese. Also halved the recipe. Thank you for suggesting Asiago cheese in place of American cheese.I hate American cheese flavor.Will definitely make asap. Crawfish Fettuccine is one of my all time favorites. I like to use the leftovers from a live crawfish boil for added flavor. When you make a fettuccine with leftover crawfish tails and onions from a boil the added flavor and dimension makes an irresistible dish. I always substitute Velvetta cheese for American cheese. Will just stick with the fresh Parm! !